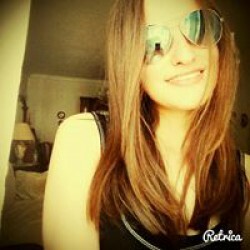 Hey my name is Özlem and I love reading books. Generally I read Young-adult books. With a poetic written, Laini Taylor tells the demon and angel's story with the most original type. 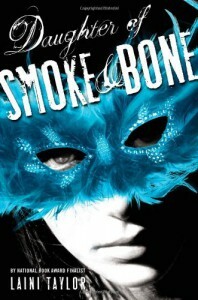 Daughter of Smoke & Bone is one of my favorites so far. I love everything about this book. I want to give more than 5 stars to this book because I think Laini Taylor deserves all the congratulation and applauses. A writing style is so intriguing and also attractively poetic. This makes the book is more interesting worth to read. When I read this book, I feel like I am in this story and watch the happenings directly. Not just reading. That's more than that. Karou is so naive and also strong girl and we can feel her loneliness and all the feelings. She loves drawing and she is very talented girl. She lives in Prague and goes to Art School. With her blue hair, she is more different from other people. Akiva is an angel and I can't imagine how beautiful he is because when Laini Taylor describe him, you can only think that he is perfection. 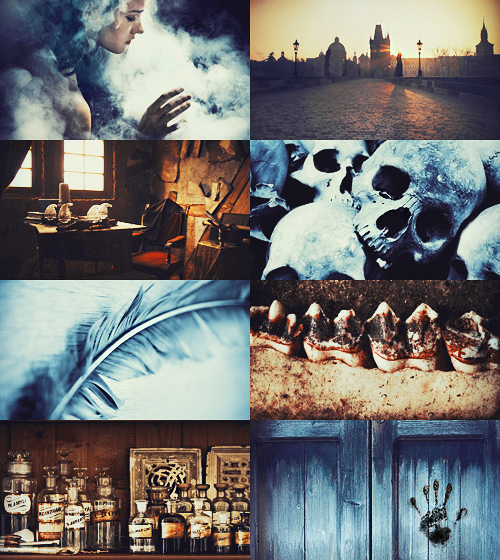 Daughter of Smoke & Bone is the first book of the trilogy. This trilogy has a really beautiful covers and I can't stop my starings. And by the way, I just heard this trilogy is going to be in a film! I can't imagine that I am going to see the characters and also sad about because they can't pick the right person for Akiva. Because he is so good-looking to being impossible. Anyway, I don't want to give spoilers but I have to because I couldn't keep my feelings more. When I started to read tihs book, I just think that this book is going to be like other angel books. A normal human girl falls in love with a mysterious angel boy. This is more than that. An this book is the most amazing angel book I've ever read. The girl and the boy's love is forbidden of course. 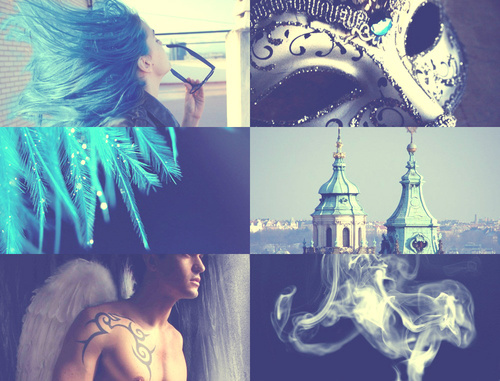 Like Romeo and Juliet, Akiva and Karou can't love each other. This book gave so much things to you: a forbidden love, hope, true love and pain..
And there is a lot of place in this book. 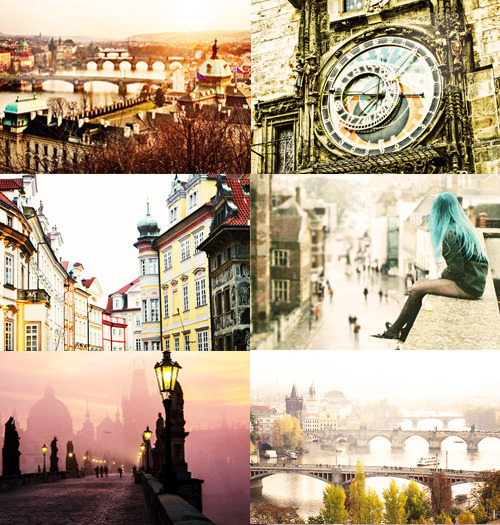 And that makes me go everywhere where Laini tells in that beautiful story: Prague especially. And by the way we have side characters; Zuzana and Kaz. I don't like Kaz but I really like Zuzana. She is a good friend for Zuzana and she understands her. I recommend this book to all of fantasy and angel-demon lovers. This book gives so much meaning to you: love and hope is the best example for it. 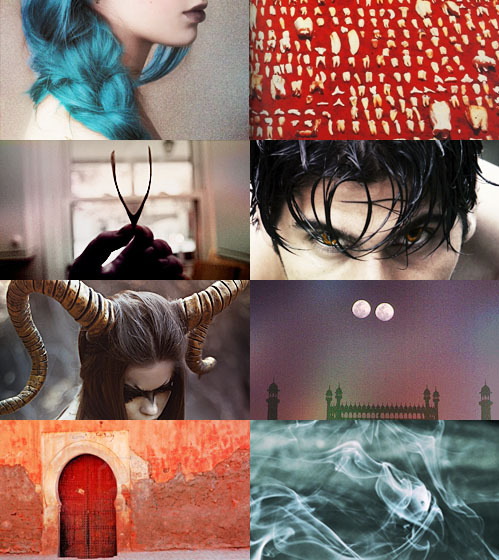 Karou and Akiva's love story is so epic and adorable. I fall in love with their relationship; so realistic and soft. And in the end of the book, all of my thoughts are get the second book ASAP!! Warning: This book's ending might take your breath away and you can be in a heart attack. There is just one cure; read the second book! But I haven't :( I have to wait till the second book will publish in Turkey.